Frank’s Gift is a high CBD strain that is quickly gaining notoriety in the cannabis community. This clone-only cultivar has tested over 24% CBD and 9% THC! The majority of today’s potent CBD strains have odd growth patterns, carry a distinct cough medicine-like terpene profile, and lack proper floral structure. Frank’s Gift is a near perfect strain for producer and consumer! This plant grows vigorously with a consistent bushy structure. The scent of sweet pine and citrus fruit emanates from its tight and even floral clusters. There is little stem in its rounded nugs and after a quick grind, the bud becomes a sticky-soft pillowy texture. Her smoke is as smooth as butter. The complex sweet lemon taste that commonly characterizes Haze hybrids gives way to an almost roasted almond and currant. A lingering top note of red fruit leaves the smoker relaxed and satisfied. In other words, Frank’s Gift is some fire! This CBD superstar began life as a seed in an Oregon garden. The group of cannabis enthusiasts known as The Oregon Microgrowers Guild had a goal. One of their patients named Frank needed relief from chemotherapy and desired a specific kind of medicine. He needed a potent strain with a high level CBD and a significant amount of THC. They departed on the mission of growing many strains and sprouting new seeds. One of these seeds was a Skunk and Haze hybrid created by CBD Crew of Holland. Jaime of Resin Seeds and Shantibaba of Mr. Nice Seed Bank collaborated in 2009 to start this cutting-edge seed company. Resin Seeds is responsible for breeding Cannatonic, which was the first popularized CBD strain. Mr. Nice is known for working with legendary strains and perfecting classic hybrids. These two breeders have now brought highly medicinal CBD strains to gardens throughout the world! When growing seeds of a strain from a high CBD line, often only about 25% of the plants will have the desired cannabinoid ratio. Usually the plants that grow well and produce frosty nugs are the high-THC varieties. The Oregon Microgrowers Guild flowered many plants of CBD Crew’s Skunk-Haze, and several phenotypes were observed. The strongest and most trichome-covered plant smelled divine. Several plants had airy flowers and smelled of pencil shavings. The growers assumed that one of these less pleasant plants would be the medicinal plant that they were looking for. When the lab test results came back, they were shocked. The strongest growing plant tested higher in CBD than any other strain in history! It also contained a significant amount of THC. Needless to say, the medicine worked well for Frank. When Resin Seeds heard of the story, they gave their blessing to name the plant Frank’s Gift. 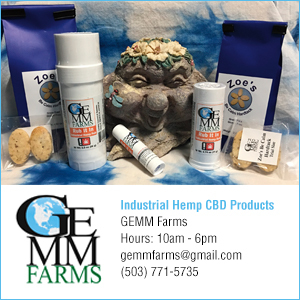 Outdoor growers looking for a CBD strain for the Pacific Northwest’s fairly short fall harvest season love Frank’s Gift for its quick finishing time. Indoor growers love the strain for its structure and vigor. Most importantly, we all love Frank’s Gift for its tasty smoke and potent medicinal effect!